Fast forward to the day of the event which was 8th of October 2018. The atmosphere was super charged for the biggest meetup event ever to take place in FUPRE which was the Ingressive Campus Ambassadors program. Mr Akphewe, a 400 level student of chemical engineering from Fupre, was the second speaker. He spoke on how website works and enlightened the audience on how Website are displayed and how they interact. For instance, the server receives the request for a page sent by your browser and the browser connects to the server through an IP Adress; the IP address is obtained by translating the domain name. In return, the server sends back the requested page. Third speaker was the HTML facilitator, Mr Ereyomi Oluwaseyi, who gave an overview on the full meaning of HTML which is "Hyper text markup language" and the basic syntax’s of HTML. It was a practical session( with little Talking) with a lot of fire , as participants had the opportunity to code along with him. He also stylishly touched some CSS part. The next speaker was Mr Okeoghene who explained how one can beautify a website with Cascading Style Sheets(CSS). He gave examples on how a website looks like with and without CSS. He furthered explained the three ways of adding CSS to an HTML file which are in line, external and internal. The session was a practical session with a lot of fire. The next speaker was the Ingressive Campus Ambassador for Ozoro Polytechnic with the name Precious Iyeritufu (C# expert), who enlightened the participants on the meaning of .Net. (which is a software development platform), the flexibility of .Net, .Net supports C-sharp, F-sharp, visual basic and also the super speed of .Net. .Net is an open source yet a sought after job skill in the Tech industry. Next on stage was a Digital Marketer, who is also a member of Women tech makers (an arm of google aimed at Encouraging women to embrace tech and thrive ), Miss Queen, also gave a talk on the importance of developers,to embrace Digital marketing and the importance of digital marketing skills as a soft skill. Next speaker was the Ingressive Campus Ambassador for Niger Delta University with the name Ovie Timothy he enlightened the attendees about Ingressive, what Ingressive stands for and the importance of been a member of Ingressive Campus Ambassador. He also advised the participants on the need to be focused while learning any programing language. He warned against the common jack of all trades and master of none. He also advised attendees on the danger of jumping from one version of a particular language to another new version when they are not yet grounded in the older version. The key point is building on old knowledge while acquiring new knowledge. After this we had a little break where attendees were served Refreshment and had Opportunities to network with each other. Beneficiaries of the event, were able to build a weight converter that converts from pounds to KG, grams and ounce. The next speaker was the Google Developers Group Warri lead organizer, Mr Charles Freeborn, who talked about the importance of being part of a Tech community. He cleared some misconceptions by some people about tech communities. Misconceptions like, Tech communities are tutorial centre... He made the audience know that, the tech community is just a guide, where the basics of things are shared and people do their research themselves. Before the code lab session(practical session) an important personality was rewarded. To encourage ladies to embrace tech, and also to reward the immerse support of miss Aghwotu Ediri towards the Meetup the Ingressive Campus Ambassador for FUPRE rewarded her with a free Ingressive Campus Ambassadors shirt. Also she was rewarded with 5kg free laundry service( washing only) by the CEO of purple wash( the first laundromat in Fupre). To increase the numbers of ladies in tech , the CEO of purple wash( Mr Marvelous Iheanacho Chigozirim) signed an agreement with the Ingressive Campus Ambassador to reward each lady that attends the Meetup with free 5kg of laundry service(washing only). 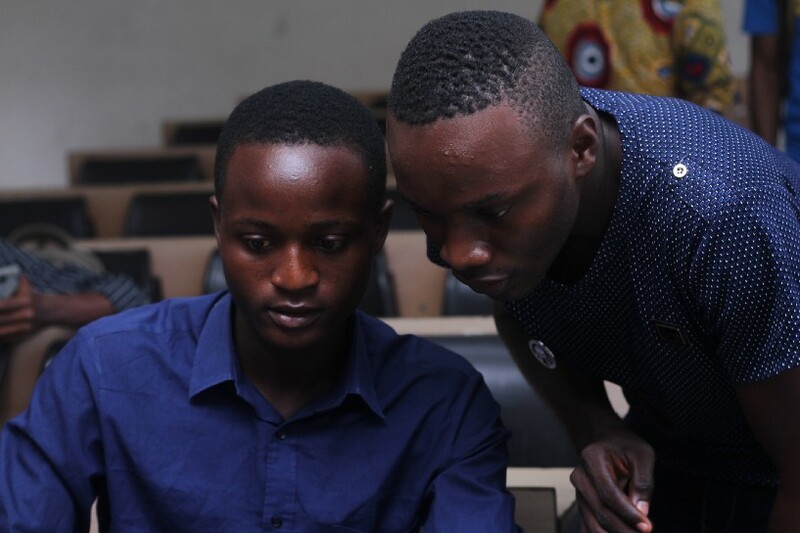 After this, a practical code lab session was held, where Mr Ereyomi walked the participants through the process of building a login page using HTML and styling with CSS. With what the participants learnt during the HTML and CSS session, the code lab session was kind of easy. The joy of actually coding and seeing the result can not be fathom, the participants really learnt a lot. Time was really against us so we had to close the code lab session. The participants could not hold back their joy as they had to express it with a round of applause just as Mr Ereyomi was about to leave the podium after the code lab session. 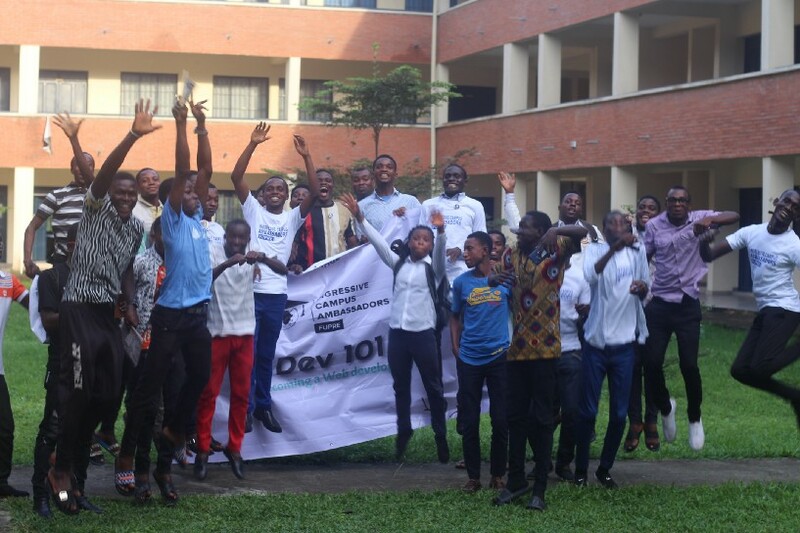 However, the Ingressive Campus Ambassador for FUPRE, Mr Idowu Ilekura, remarked that, the maiden FUPRE’s ingressive campus ambassadors meetup, has caused a massive tech revolution in the University and added that he was excited to be among those who orchestrated and brought the fire of technology down to the University.